Telegraph - UK by Chris Moss Once again the Huaorani Ecolodge featured on the news: "Ecuador The headwaters of the Amazon in Ecuador are widely recognised as the site of some of the greatest biodiversity on Earth. The government is still contemplating exploiting the oil reserves in the Yasuní region but, for now at least, tourism provides a counterweight to the economic pressures. Indigenous tribes such as the Huaorani and the Shuar and the more integrated Quechua communities accommodate visitors at basic lodges along the banks of several tributaries. Lodges are often isolated and getting to one may involve a flight – while boat trips are special, a small plane offers the best vantage point for seeing the full grandeur of the canopy. Highlights include the indigenous tribes, ceibo trees, Huaorani Ecolodge and campsite, hummingbirds, blue morpho butterflies, the Yasuní Biosphere Reserve"
Our latest presence in the news at the Sweedish press. Our GM was interviewed by TRavel Report after our participation at the Long Run Destinations Workshop with the Zeitz Foundation. 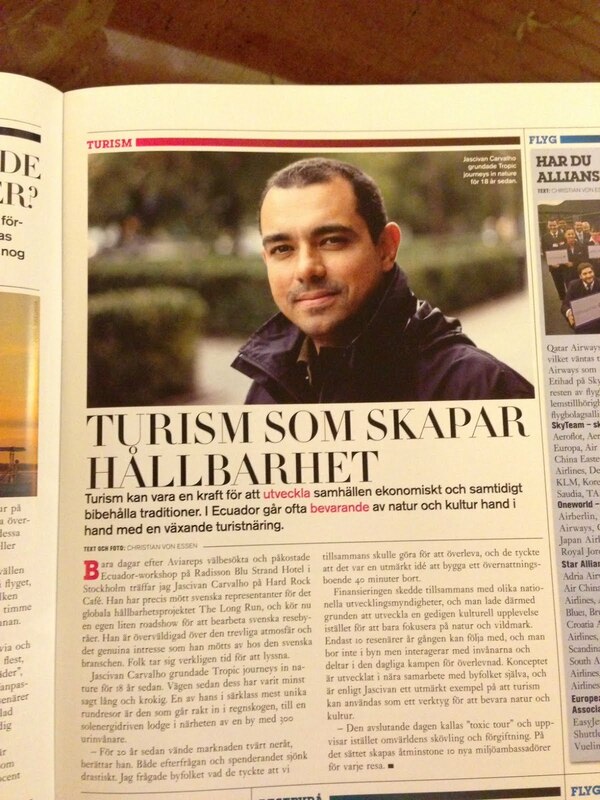 "Tourism that creates sustainability" "Tourism can be a powerful tool to develop societies financially while also sustaining traditions. 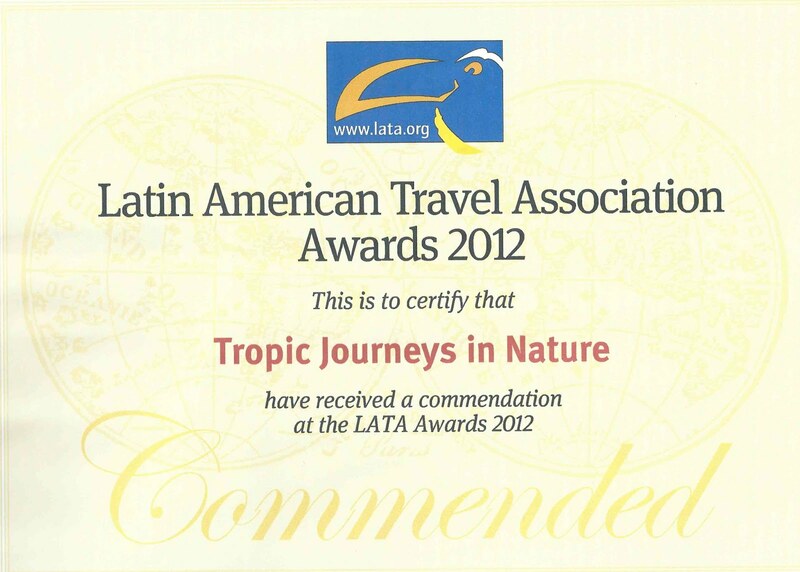 In Ecuador you often see conservation efforts of nature and culture, walk hand in hand with a growing tourism industry." "A concept developed in close cooperation with the with the villagers, that works as a prime example, on how tourism can be used as a tool to conserve and sustain nature and culture." Skål!! 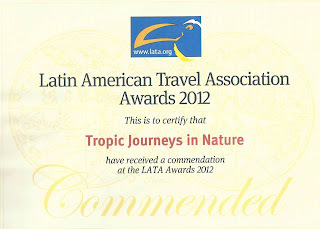 Journey Latin America, British tour operator ranks the Huaorani Ecolodge as BEST FOR CULTURAL INTERACTION http://www.journeylatinamerica.co.uk/papagaio/Top5/jungle-lodges.aspx A stay at Huaorani Ecolodge offers a unique rainforest experience, coupled with an intimate insight into the lives and culture of the Huaorani tribal people. While the lodging is basic, the profound impact of forging a connection with the living culture of a jungle tribe is what sets it apart. Visitors will discover first-hand how people live in remote jungle communities, how they make use of the forest's resources, and the ill effects of oil exploration on them and their lands. Bring your sense of adventure: you'll arrive by light aircraft and dugout canoe, and learn how to set traps, make fire without matches, build a shelter in minutes, use a blowgun, practice the perfect swing of the machete and catch fish in jungle lagoons.